Two interconnecting 1-bedroom villas, each with private pool, twin sun-loungers, poolside shower and balé, an air-conditioned king-sized bedroom, indoor-outdoor spa bathroom, living and dining areas, guest loo, kitchen and luxury hotel services. These villas are connected through a discrete doorway in their gardens to create a wonderful 2-bedroom retreat, perfect for small groups of friends or a family with older children. Villa 11 is accessed via stepping-stones over a tropical fish pond, where a peaceful sanctuary is defined by a breath-taking jungle bathroom and a sunny-drenched pool set in verdant tropical gardens. The huge Jacuzzi volcanic stone bathtub is surrounded by a tropical fishpond where a waterfall trickles through a rockery, decorated with antique ornate wooden statues. The bedroom with super king-size bed opens onto a bright and breezy indoor living room, fully air-conditioned, which in turn looks onto gardens, a natural wooden deck, a traditional thatched Balinese pavilion and swimming pool. Villa 12 an oversized 1-bedroom property, where a dining table comfortably seats six, a large indoor sitting-room has floor-to- ceiling glass doors opening onto the pool and garden, while the adjoining bedroom features a super king-size bed and ensuite bathroom, with a huge Jacuzzi bath sitting in front of a stone rockery, surrounded by a waterfall cascading into a koi carp pond. A lovely, thatched balé with fan-cooled daybed, twin sun loungers, outdoor rain shower and breakfast table for two surround the stone swimming pool. We had a very memorable stay & enjoyed ourselves. We had a very memorable stay & enjoyed ourselves. We will certainly come back. WOW, what a wonderful place!! 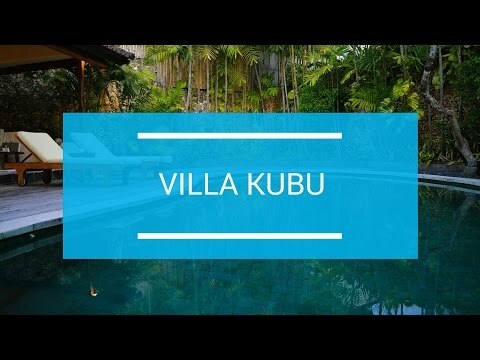 Dear Villa Kubu, Thank you so much for a wonderful stay! We have thoroughly enjoyed our time here and will definitely stay again . The staff, food, villa and everything has just been perfect. Thank you again + see you soon.